Though in the story of evolution mankind went from nomadic hunter-gathers to settlers focused around a community, most of us still live commute-heavy lifestyles. Whether it’s the seven minute walk from your front door to the office, or the bi-coastal journey each weekend, travel is an essential part of our lives. It was this that Adidas Originals designer Nic Galway thought about when designing the brand’s new NMD sneaker, set to launch December 12. The NMD is a lifestyle sneaker, but that fact can easily get buried once you start looking at all of the technical aspects of its design. “It’s about creating something that’s right for now that we can incorporate into our lives,” Galway told Cool Hunting about the design. In practically, that meant a design that was lightweight, durable, and comfortable, all of which come doubly addressed in the sneaker, previewed Wednesday night in New York to a crowd including the likes of A$AP Ferg (who recently released a collaborative shoe of his own), sneaker designer Ronnie Fieg, and more. For the NMD sneaker, Galway — who also designed the Yeezy Boost — combined the adidas Primeknit technology as well as the company’s Boost cushioning. The result is a lightweight upper that fits like a second skin, meaning you could go without socks if you wanted, with a springy sole that’s ideal for walking or running. 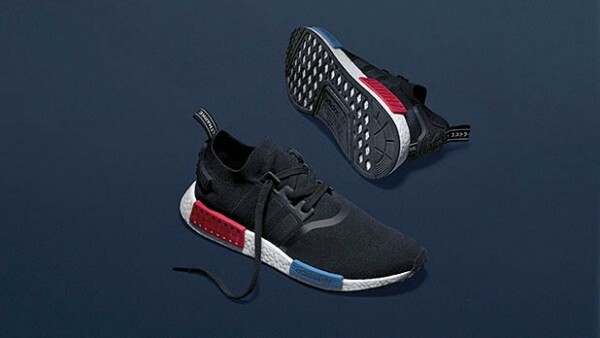 Red and blue inserts that add to the colorblocked look of the footwear are also TPU stabilizers, which provide a bit of added support, particularly around common foot strike points. The kicks are pretty much everything you want these days: durable, comfortable, and perfect for squishing into that last bit of space in your suitcase. 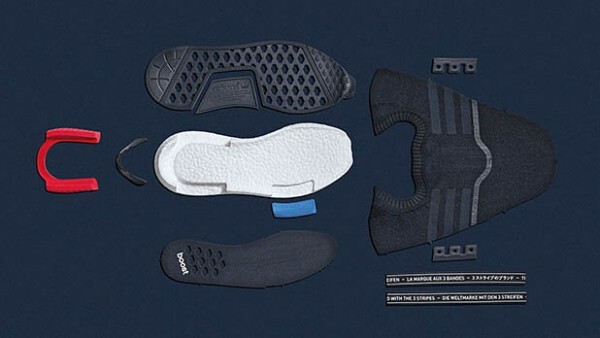 The sleek, stylish design and “The Brand With The Three Stripes” pull tabs at the back are all bonuses. 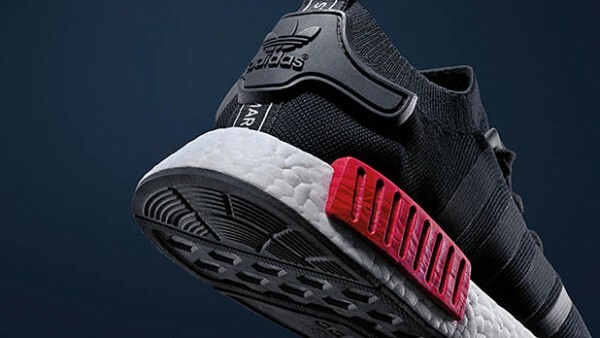 While adidas is releasing 1,000 Consortium NMD Runners — which features grey stabilizers as opposed to red and black — at select retailers in six cities worldwide (Kith in New York and Undefeated in Tokyo) Thursday, the NMD launches Saturday online for $180.